Tonight is an all new episode of Dancing With The Stars season 14 and we have some great details/spoilers for you. On last week’s “The Most Memorable Year of My Life,” themed episode the remaining eleven couples were challenged to perform a meaningful dance using any style dance of their choice. Sadly Jack Wagner & his professional dancer Anna Trebunskaya were sent home. If you missed Jack’s performance from last week or any of the other performances you can see them here. On this week’s episode Rock Week returns – the remaining ten couples will perform dances to some of the greatest Rock songs of all time. The dance assignments for the week are: Gavin and Karina doing the Tango, Roshon and Chelsie doing the Viennese Waltz and Jaleel and Kym doing the Tango. Also Melissa and Maks doing the Paso Doble, Gladys and Tristan doing the Tango and William and Cheryl doing the Jive. Sherri and Val will perform a Tango, Donald and Peta a Paso Doble, Maria and Derek will dance the Tango and Katherine and Mark the Paso Doble. On Tuesday, KISS hits the stage for another rockin’ performance of “Lick it Up.” “DWTS” alums Sabrina Bryan and Kyle Massey will return to the ballroom with a sneak peek at their “Dancing with the Stars: Live in Las Vegas” show, which debuts April 14 at the New Tropicana Las Vegas. Also during Tuesday’s show, a special performance featuring Karina Smirnoff and one of the world’s best ballet dancers, Jose Manuel Carreno, who was a principal dancer with the Royal Ballet and the American Ballet Theatre. Their dance will be accompanied by a live performance from Gotan Project’s “Santa Maria,” the band’s U.S. network TV debut. Are your favorites still in the competition? Who are you rooting for? Sound out in the comments below and let us know! On Tuesday night we will also find out who among the ten couples will be the next to leave the ballroom? 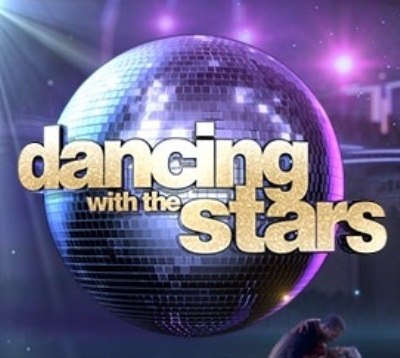 Make sure to stop by Monday April 9th and Tuesday April 10th when we will be live blogging both the performance episode and Results show of Dancing with the Stars. Meanwhile for everything DWTS go here!